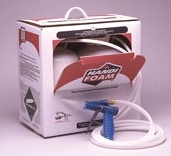 Fiberglass blanket insulation is the recommended product for ranges, broilers, oven panels, commercial ovens, fireplaces, solar collectors and incinerators. 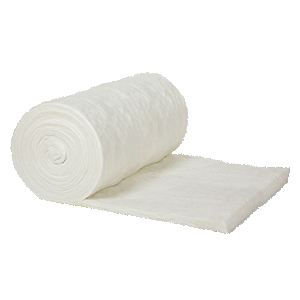 Fiberglass blanket insulation is for use in applications operating at temperatures up to 1000°F (538°C). Fiberglas® TIW blanket insulations are suitable for use in metal mesh blankets, boilers, vessels and may other types of industrial equipment operating at temperatures up to 1000°F (538°C). Fiberglas® TIW blanket insulation may also be used in panel systems for precipitators, ducts and breechings. Owens Corning® UtiliCore® Insulation products are flexible white blankets designed for high temperature commercial and industrial applications. The pliable, lightweight insulation offers outstanding thermal performance, making it an excellent choice as core insulation for removable and reusable industrial pipe covers, and other industrial pads and blankets. AP Armaflex® Sheet and Roll insulation is a black flexible elastomeric thermal insulation used to retard heat gain and control condensation from chilled water and refrigeration systems and reduces heat flow on hot systems. -297°F to +220°F or (-183°C to +105°C). Fiberfrax® Durablanket® S is made of lightweight, thermally efficient ceramic fiber insulating material that combine the advantages of dimensional stability at high temperatures with complete resistance to thermal shock. Fiberfrax® Durablanket® S provides proven and effective solutions to a variety of heat processing applications. The upper use limit is 2300°F. Fiberglass pipe and tank blanket insulation is ideally suited for application on rounded shapes such as pipe, tanks, ducts, vessels and other similar round and irregular shapes. Pipe and tank wrap is suitable for operating temperatures up to 850°F (454°C). 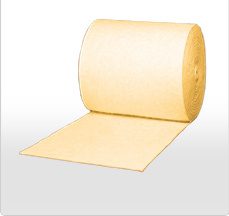 Fiberglass rigid pipe and tank insulation is a semi-rigid fiberglass board material, jacketed with a laminated kraft-aluminum foil ASJ facing. Fiberglass bendaboard insulation wraps easily around pipe, tanks or vessels, while providing good rigidity and abuse resistance. Fiberglass duct wrap is used for external insulation of commercial and residential heating, air conditioning and dual-temperature ducts operating at temperatures from 40°F (4°C) to 250°F (121°C).